Trends change with time and so we also need to stay ahead of the curve. The inherent motto is to be the best among all your competitors to win. Website redesign is the predominant approach that is the savior for the distinguished organizations in this growth-oriented arena. Website redesigning can be sometimes regarded as the technique for revamping your current website to include some uniqueness. For another situation, it may be a weapon to hold those visitors who are on the stake of denying from being your probable customers because of the absence of spark. A website design is a delicate component that ages with time. This is where you truly require a new website with the old soul. You have the whole architecture already prepared that only demands a furnished coat of fresh elements. 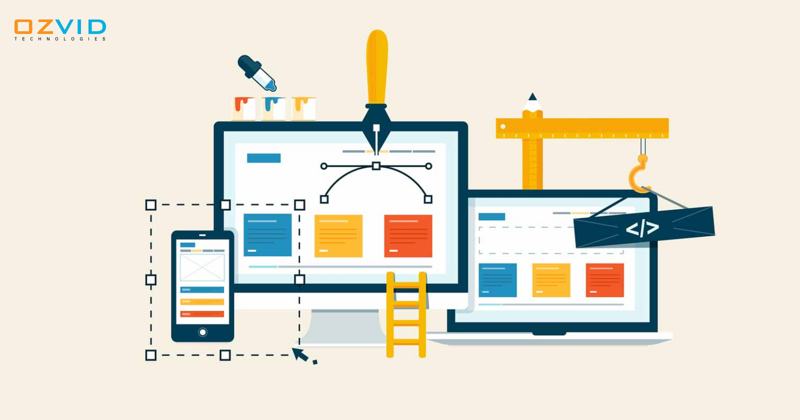 Why You Need a Website Redesign? Redesign not just simply means to give another structure to your website with new pictures and exciting colors. The entire foundation demands modifications that require time. So, you must be assured before making a final choice. In the event that you think to redesign your website as it lacks few features when compared to a website that you have visited a couple of minutes before, it is the time to rethink. Everything that sparkles, is not necessarily worth purchasing. On account of web development, moving to a different design may create compatibility issues. Amending the look and feel of your website is essential, however, it should not be the main reason to move to a new design. Absolutely, web redesigning not simply intends to add the coolest gimmick to your website. Rather, it extensively attempts to add to the sustainable growth of any business. What Functionalities Are Required in the Website? When you are planning to redesign your website, adding the advanced features and functionality is not a misrepresentation. It is the real reason why you are looking for the change. These characteristics can be live chat options, social media feeds, video and audio capabilities and numerous more upgrades to give you an extra edge. A noteworthy fact is, you should not put what you like, rather focus on what your customers are looking for. This totally relies upon your business type and your taste. Also, the service offerings with an intent that they should altogether bring your customers an exhilarating online experience. Is There Anything Lacking in Your Current Web Design? Everybody knows that content is the king and communicates a lot about your identity as an organization. It is actually the second thing that the visitors makes an impression from, after the external appearance of the website. When you made final plans for the website redesign, you should focus on the things that should be reworked or even made from scratch. This trim can be anything at another page or any section of it. Furthermore, it may also be a change in the current page that you need to move to another website. Filling these gaps without a doubt brings about moving everything at a place and giving it a new shape. Is Your CMS a Relevant One? When you are going to start your website redesigning, the biggest question to answer is, which CMS are you using. It is up to your taste and benefits whether you love WordPress or need to move to Drupal. An attached factor here is to see the normal cost and scope of the platform that you pick. In a perfect world, there must be extreme compatibility of the new CMS to the revamped website design. A custom-built CMS is a fair deal where your website will run without boundaries. It is a win-win approach as you will save your money and your customer's time. In this way, you require web redesigning to get a better website. Irrespective of the business domain, website redesign goes about as an aid and offers polished results. The excellence beneath this idea is to develop your website alongside the changes in products or services. In the event that you want to avail the benefits of the web redesign service from a known firm, OZVID Technologies is a flawless name. We have a capable team of web developers who will change your business at par with pretty web design tactics. Leave a comment below if you have any queries.